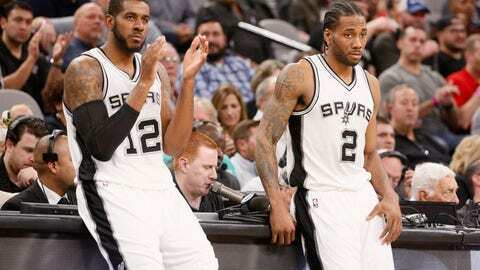 The 2016-17 NBA season is officially in the books, which means it's time to take stock of how all 30 teams did. For our final NBA power rankings of the season, we're breaking down each franchise's best and worst moments from this 82-game slog. Some came on the court. Others happened in interviews. And a few took place behind closed doors. Without further ado, here's our last look at the NBA regular-season hierarchy, based on a simple question: Would team No. 29 beat No. 30, and would No. 28 beat No. 29, etc., in a seven-game series in which neither team is resting players? On that note, we'll see you Saturday for the playoffs. Highlight: Devin Booker's 70-point game, naturally. Lowlight: Everything else about this season. Highlight: Removing Jim Buss from power in the front office midseason and installing Magic Johnson as the president of basketball operations. 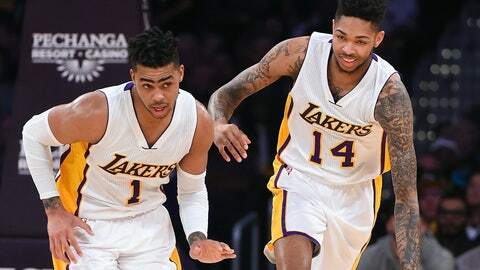 Lowlight: A recent five-game win streak that might have doomed the Lakers' chances at keeping their 2017 first-round draft pick. 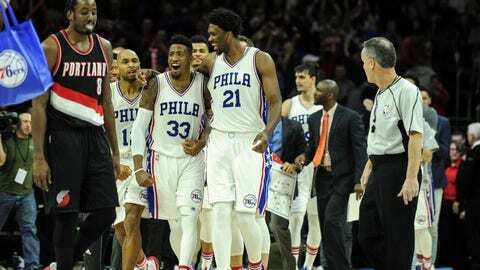 Highlight: Joel Embiid emulating WWE's Triple H as he made his case to start in the All-Star Game and led the Sixers toward a potential playoff berth. Highlight: Can we still count Aaron Gordon's near-win in the Dunk Contest last year? Lowlight: The time their soon-to-be-fired GM reportedly took a picture of the team's draft and free agency big boards, leaking Orlando's strategy to the rest of the world — and revealing their plans were pretty bad, to boot. Highlight: The season ending, so the Nets don't have to hear about their pick swap with the Celtics until the draft lottery. 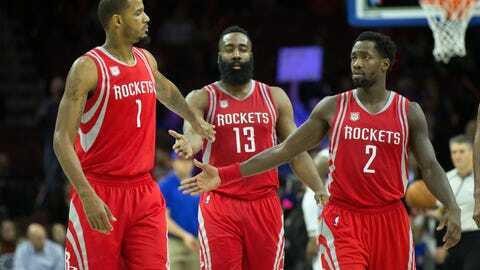 And establishing a culture during a nice second half of the season that this team can build on moving forward. That was nice, too. Lowlight: Ruining the NBA playoffs by resting all of their best players on the final night of the season, giving the Bulls a playoff berth over the Miami Heat. 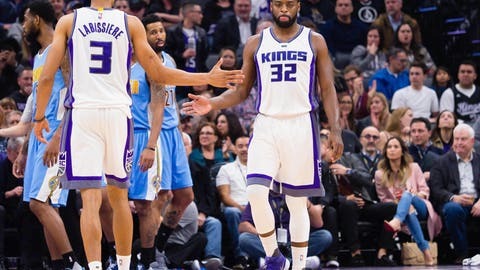 Highlight: Skal Labissiere and Buddy Hield playing like NBA rotation players since the DeMarcus Cousins trade. Lowlight: The DeMarcus Cousins trade. Highlight: Kristaps Porzingis winning the 2017 NBA Skills Challenge. 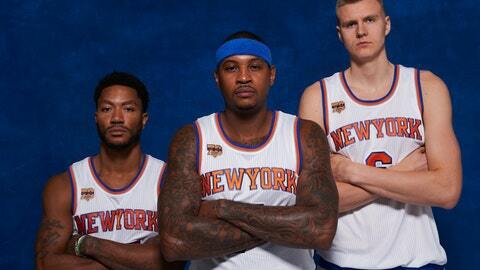 Lowlight: Phil Jackson making it clear the Knicks were doubling down on their commitment to the Triangle Offense. Highlight: Stan Van Gundy tossing aside the facade and revealing the dirty truth behind NBA trade rumors and the deadline. 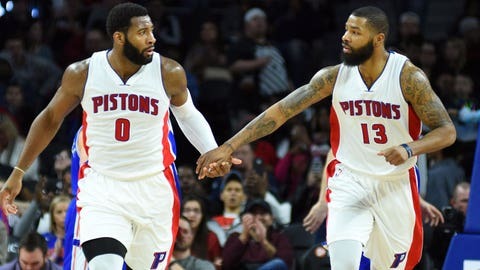 Lowlight: The Pistons missing the playoffs despite having one of the most talented rosters in the Eastern Conference, at least on paper. 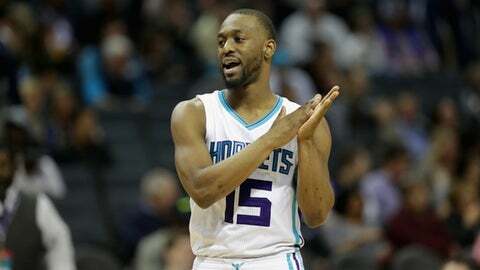 Highlight: Kemba Walker making the first All-Star Game of his NBA career. Lowlight: Losing the 2017 NBA All-Star Game due to North Carolina's HB2 bathroom law. 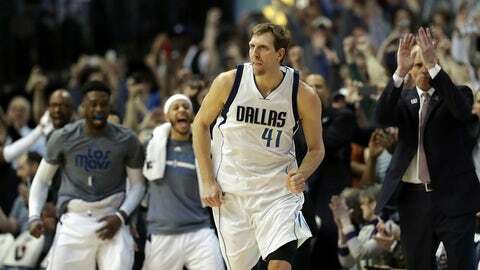 Highlight: Dirk Nowitzki becoming just the sixth player in NBA history to score 30,000 regular-season points. Lowlight: People losing their minds over Mark Cuban "signing" Tony Romo to a contract. Highlight: A 107-80 win over the formidable Utah Jazz on March 1 that seemed to indicate the Wolves had turned the corner under new coach Tom Thibodeau. Lowlight: The six-game losing streak that started just two weeks later. 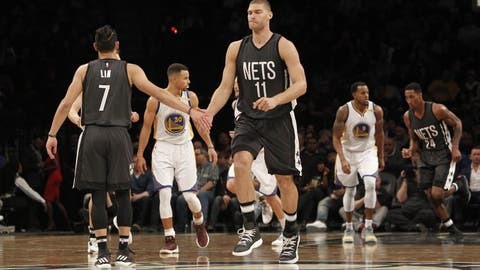 Highlight: Making the playoffs by beating a poor man's D-League version of the Brooklyn Nets in the season finale. Lowlight: The time Rajon Rondo nearly started a civil war against Jimmy Butler and Dwyane Wade. 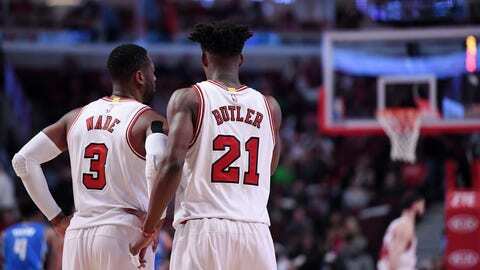 Highlight: On the evening of Nov. 16, after a win over the Milwaukee Bucks, the Hawks were 9-2 and looked like a true Eastern Conference powerhouse. Spoiler: They were not a powerhouse. 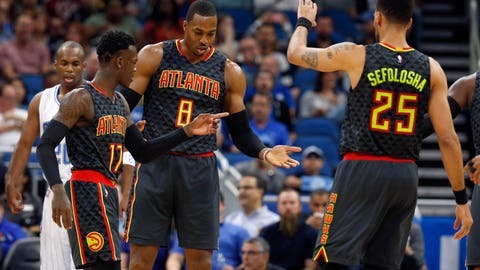 Lowlight: Take your pick between trading Jeff Teague to the Pacers, losing Al Horford to the Celtics, or sending Kyle Korver to the Cavaliers for basically nothing — all of which effectively ended the Hawks' "Medium Four" era. ... yeah, it wasn't a great season in Indiana. 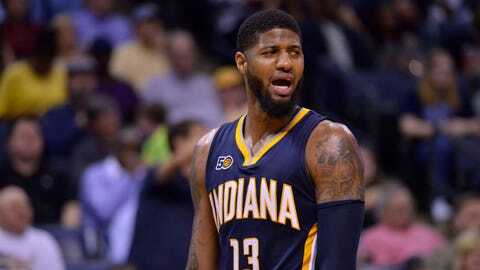 Lowlight: Paul George making it clear he's losing patience with the Pacers and could start looking for other options after next season. 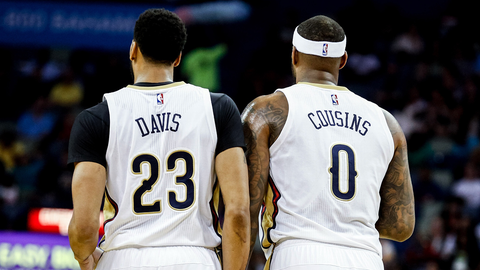 Highlight: Acquiring DeMarcus Cousins during All-Star Weekend for practically nothing. Lowlight: Every time Anthony Davis went down with a minor injury and Pelicans fans had to hold their breaths to see if he'd be all right. Highlight: Nikola Jokic blossoming into one of the best young big men in the game, and the Nuggets recognizing the best way forward was to move Jusuf Nurkic and give Jokic room to grow. Lowlight: Nurkic turning around and roasting Denver in his first game against his old team as a member of the Blazers. 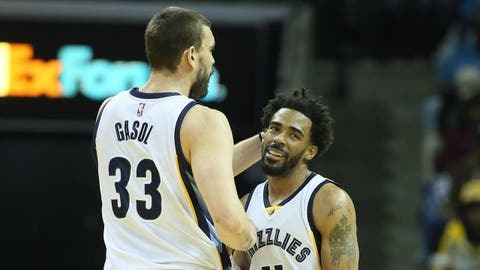 Highlight: Marc Gasol doing his best Conor McGregor impression after hitting a game winner against the Los Angeles Clippers. Lowlight: Tony Allen going down with an injury on the eve of Memphis' playoff date with the San Antonio Spurs. 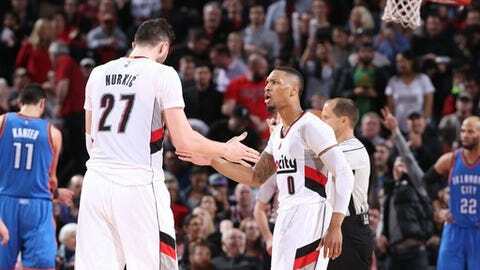 Highlight: Trading for Jusuf Nurkic and making one last playoff push to earn the eighth seed in the Western Conference. Lowlight: Damian Lillard being snubbed for the All-Star Game yet again. When are the voters going to learn? 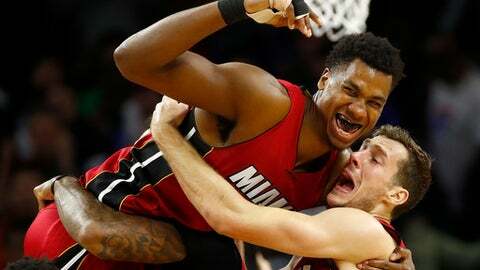 Highlight: Hassan Whiteside's game winner in the midst of Miami's ridiculously red-hot second-half streak. Lowlight: Starting the season 11-30, storming back to .500, and missing the playoffs on the last day of the season — all with Chris Bosh unable to take the court. 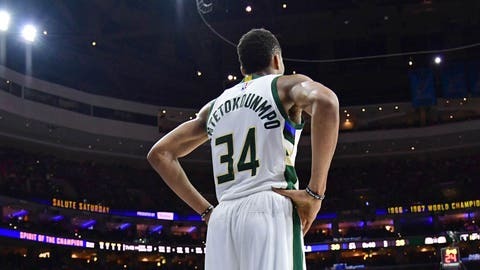 Highlight: Beating the defending champion Cavaliers in overtime just before Christmas in a game in which Giannis Antetokounmpo showed the world how great he has become. Lowlight: Losing Jabari Parker for the rest of the season to a torn ACL. Highlight: Russell Westbrook's historic 2016-17 season. All of it. 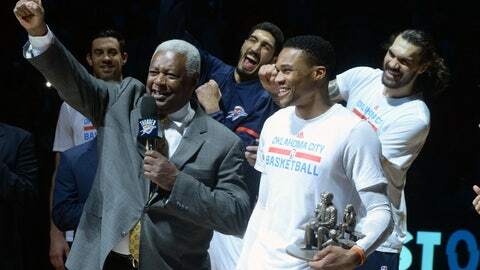 Lowlight: All of the debate about how Westbrook's achievement is overrated, meaningless, and proof of how selfish NBA players are these days. 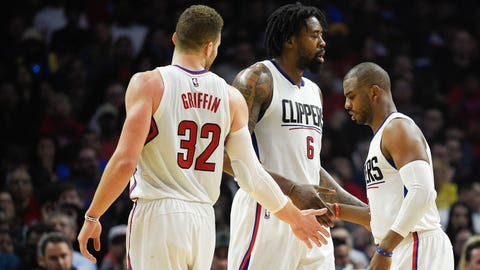 Highlight: A March 18 win against a Cavs team without its Big Three seemed rather meaningless in the grand scheme of things, but that 108-78 victory ignited a 10-2 Clippers run to close the season. Lowlight: With Blake Griffin sidelined by a knee injury, L.A. dropped consecutive games to the Rocktes and Thunder by a combined 50 points to close out 2016. 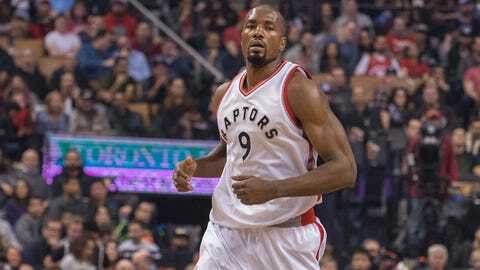 Highlight: Trading for Serge Ibaka and P.J. 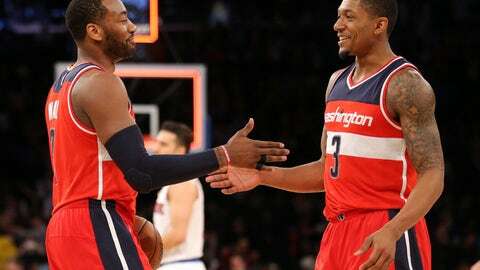 Tucker, two players who give the Raptors a fighting chance to knock off the Cavaliers in the Eastern Conference. Lowlight: Kyle Lowry's wrist injury, which initially seemed like it would threaten Toronto's hopes of a deep playoff run. Fortunately, it looks like the All-Star point guard is just fine. Highlight: Scott Brooks realizing his original offensive plans weren't working, scrapping that scheme, and turning the Wizards into the second-best team in the East. Lowlight: Having to struggle through a 6-12 start before Brooks flipped that switch. Highlight: Finding a couple diamonds in the rough in big man Dewayne Dedmon and point guard Dejounte Murray. 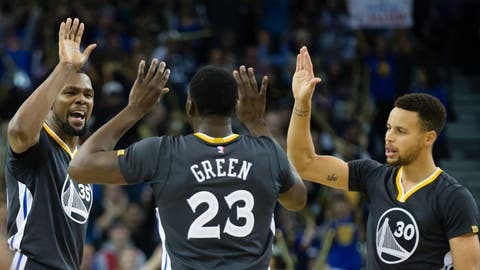 Lowlight: Falling behind the Warriors 31-10 in the first quarter of their biggest test against Golden State this season before losing by a final score of 110-98. Highlight: Rudy Gobert showing off his skills as the game's best defensive player on a nightly basis. 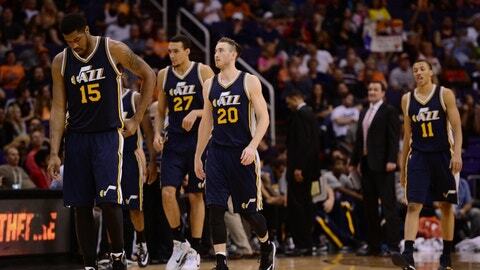 Lowlight: Suffering injury after injury through the first half of the season, which prevented the Jazz from building cohesion until after the All-Star break. 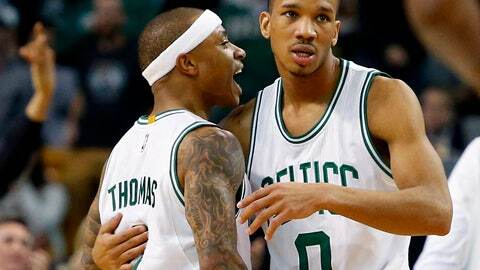 Who knows how good this team could be if it had been healthy all year? Highlight: Laughing in the faces of everyone who called the Mike D'Antoni coaching hire a huge mistake. Oops. Lowlight: Having Russell Westbrook's historic season overshadow what is arguably the most productive season in NBA history from James Harden. Highlight: Isaiah Thomas putting up the second-best scoring season in Celtics history, which is pretty astonishing company. Lowlight: A 114-91 home beatdown by the Cavaliers last week that left a lot of questions about whether the Celtics have what it takes to knock off Cleveland in the postseason. Highlight: Receiving the first NBA championship rings in Cavaliers franchise history on opening night. 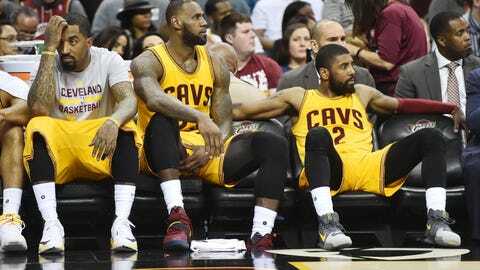 Lowlight: Slipping into the continued second-half malaise that has defined Cleveland's title defense. Highlight: Signing the most coveted free agent of the offseason, Kevin Durant. Lowlight: You'd think it was the Durant injury, but that actually taught the Warriors to embrace the best version of themselves. 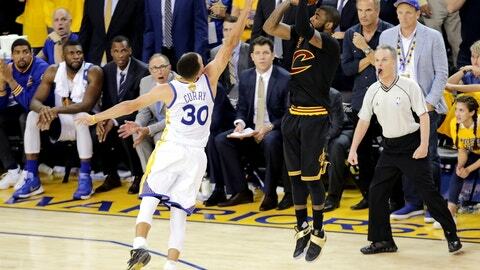 Instead, the worst part of the 2016-17 season for Golden State was having to deal with all the "3-1 lead" jokes. We're guessing they won't blow that kind of lead again in the Finals.